Coming off a successful inaugural test at the Roar Before the 24 at Daytona International Speedway this weekend, Pfaff Motorsports gained a great deal of experience and information as they head into their first IMSA WeatherTech GTD race at the 24 Hours at Daytona later this month. Participating in all six on-track sessions between Friday and Saturday last week, the new driver lineup of Porsche factory driver Dennis Olsen (NOR), Lars Kern (DEU), Zach Robichon (CAN), and returning driver Scott Hargrove (CAN) were able to shake down their Porsche 911 GT3 R and place it as high as seventh position in the final night session on Saturday. 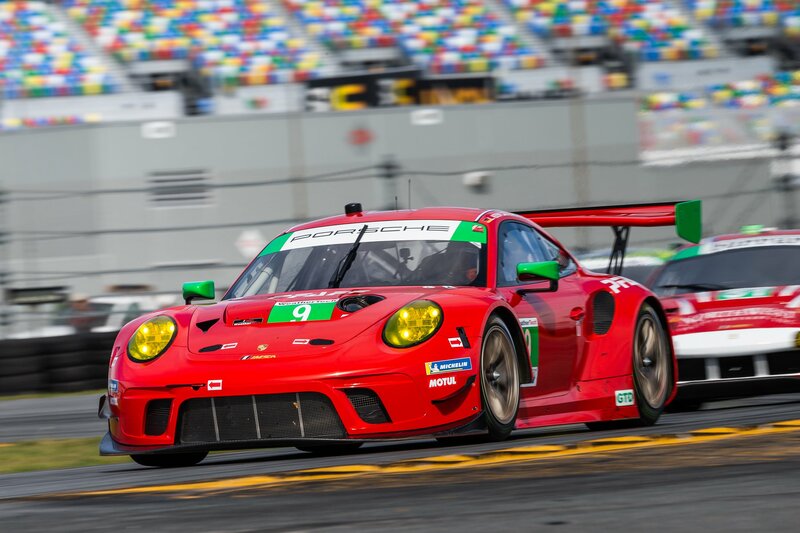 The Roar test also marked the first time Robichon was able to get behind the wheel of a GT3 R, which is all-new for 2019. 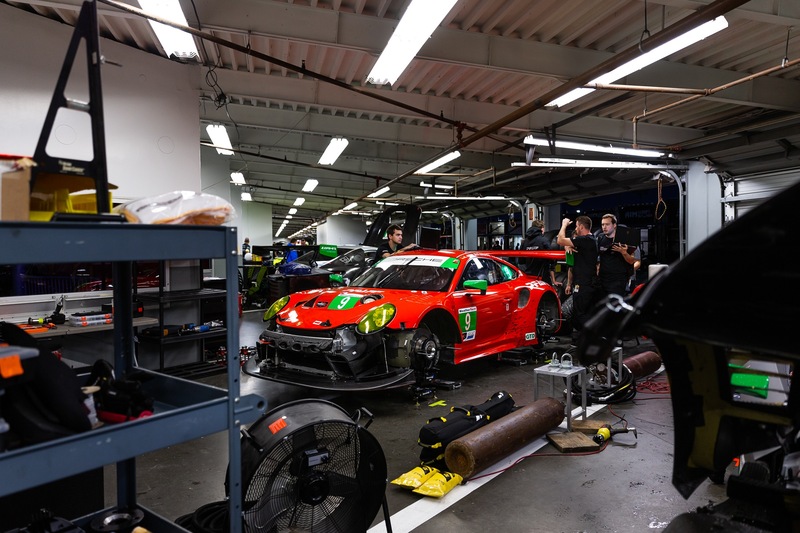 Hargrove, who pulled double duty driving both the GT3 R and the Pfaff-sponsored Cayman GT4 Clubsport MR for AWA Racing in the GT4 class this weekend, was equally impressed with the improvements to the new 911. 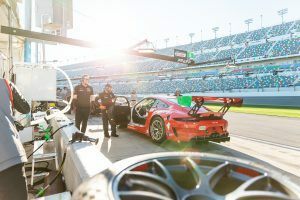 For chief engineer Andrew Marangoni, there were a number of key points to focus on as Pfaff Motorsports enters its largest sports car effort, and first season of endurance racing. 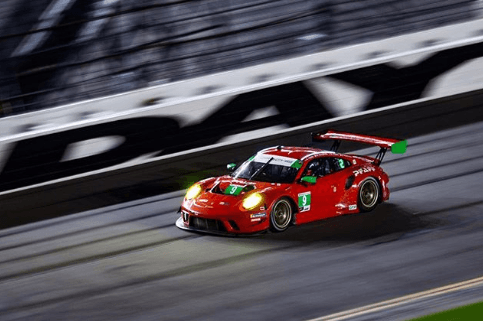 “We’ve worked our way up the ranks of North American sports car racing and have learned an incredible amount along the way, but we certainly didn’t expect to enter the Roar without any challenges,” he said. “The IMSA WeatherTech series is the pinnacle of the sport in North America, so everything from personnel to equipment, the car and order of operations needs to be meticulously prepared. 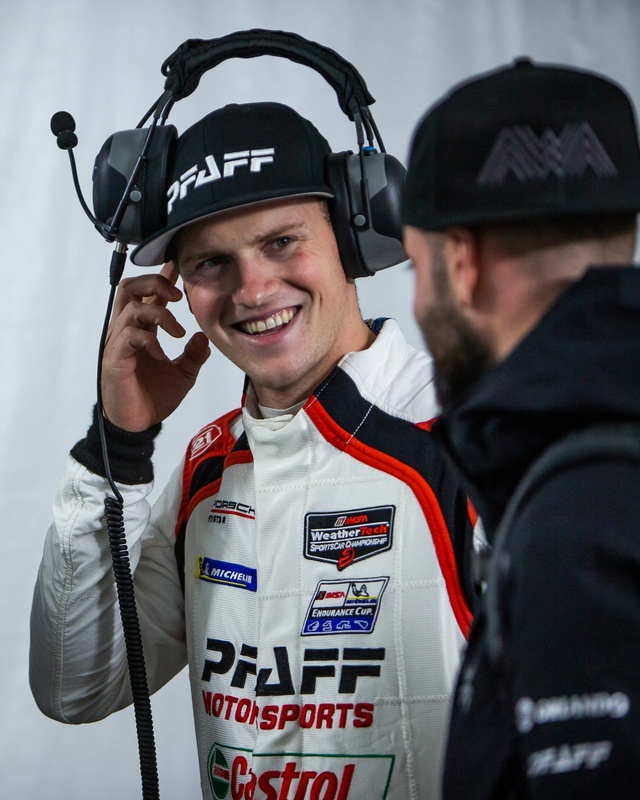 Continuing their assessment of the team’s first test with a new driver lineup, Marangoni was hugely impressed by the effort put forth by each driver this weekend. “It was an absolute privilege working with Olsen, Hargrove, Kern and Robichon,” Marangoni said.  “All four drivers are absolute professionals and provided excellent feedback and input, which is a trait coveted by any engineer. 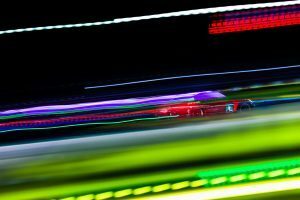 Most encouragingly, all four drivers provided very similar commentary on the performance and handling of the car, which allows us to progress with our testing and enhancement of the setup overall. 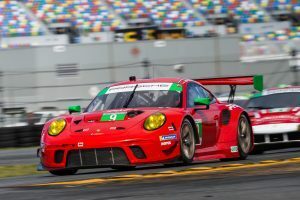 Looking ahead to the team’s first race at Daytona, team manager Steve Bortolotti saw a large number of positives to build upon. 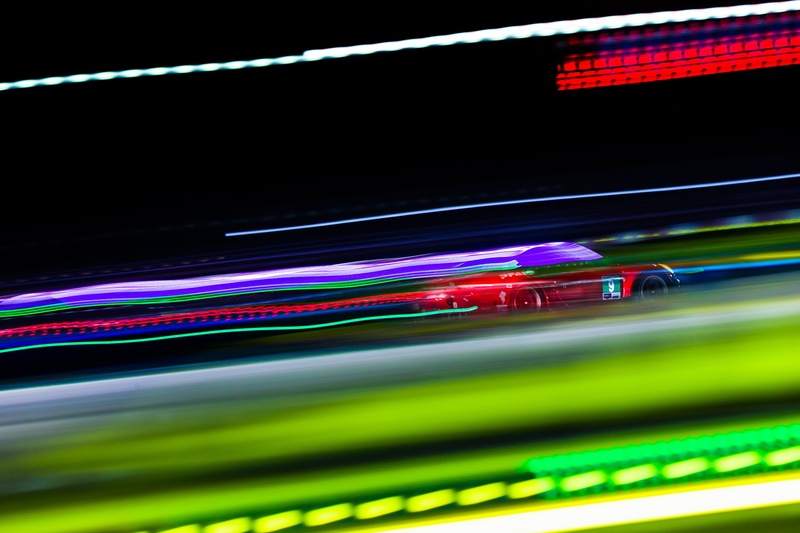 “Overall, the crew performed very well,” Bortolotti said. 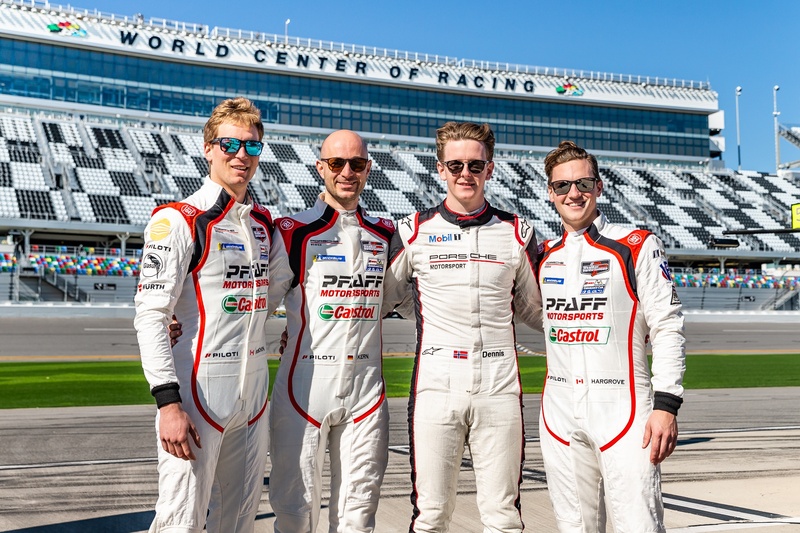 “There were a few teasing issues with the car which is to be expected on its first outing, but it was nothing our team wasn’t able to resolve, and it also gives us a wider knowledge base as we prepare for the 24 over the next few weeks. 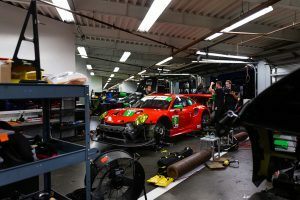 With just two full weeks before the team returns to Daytona, Bortolotti has a full schedule planned at Pfaff Motorsports headquarters to ensure all bases are covered. 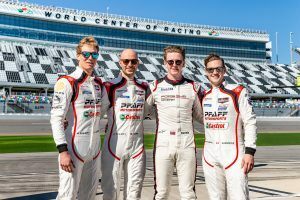 Pfaff Motorsports returns to Daytona in two weeks to compete in their inaugural season of the IMSA WeatherTech series and the 57th running of the Daytona 24 Hours, taking place from January 24 to 27, 2019.